This Commercial Electric semi-flush mount ceiling light features a satin bronze finish and opal glass shade. This simple, elegant design compliments any interior dicor. These fixtures are built with steel to last, and they are suitable for damp locations. They can be easily installed, with hardware included. This unique ceiling mounted light fixture comes in Satin Bronze with Clear glass. This semi-flushmount will complement the decor in any room of your home. Made with solid steel construction to look great and last for years to come. This island/billiard will update your home with its eye-catching design. Featuring a bronze finish and clear seedy shade(s), this fixture will accommodate a variety of dicor styles. With its easy installation and low upkeep requirements, this island/billiard will not disappoint. 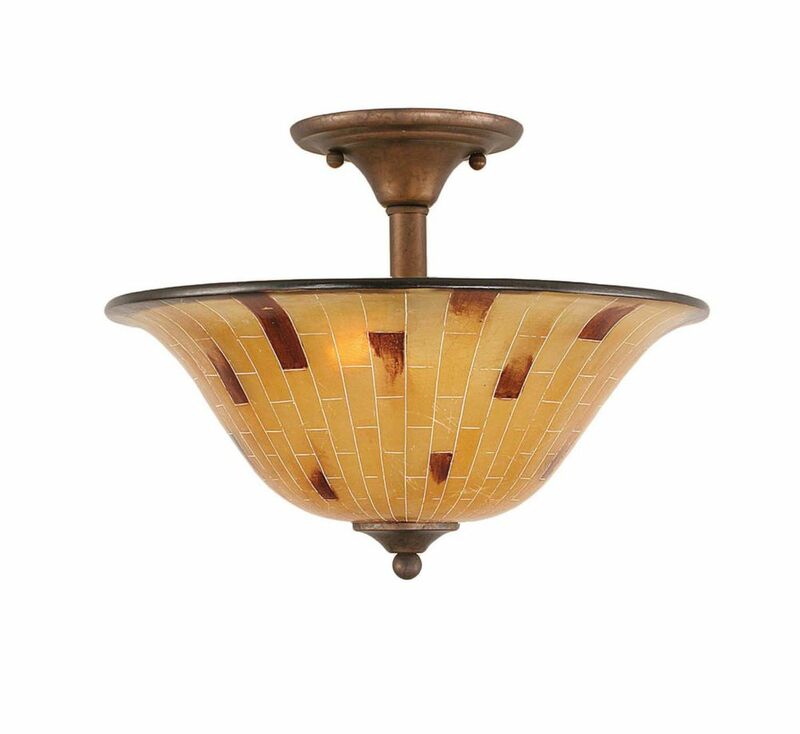 Concord 2-Light Ceiling Bronze Semi Flush with a Penshell Resin Glass The cornerstone of the concord Collection is quality, and this semi flush is no exception. Combining a classic bronze finish and posh styling, you will find no better way to highlight the charm of your home. With the superb craftsmanship and affordable price this fixture is sure to tastefully indulge your extravagant side.